Many people think that the today’s trend of using VPN service is simply exaggerated and groundless. Before you say the same, think of all the business and private human interactions and financial transactions happening online daily. Be those work emails, texts or calls to your family, chats with friends or using one of the tens of apps downloaded on our device, it all goes on online. Try to guess how much time do you spend daily in front of your smartphone, PC or laptop’s screen? On the average, people in the US spend as much as 5 hours daily on their Internet-accessing devices. Over 2.5 hours out of this time are spent on the various social networking platforms. Spending time on the World Wide Web becomes an inescapable part of our modern life. With its help, we interact and socialize with each other. Many of us choose online as an option for spending our alone time, for example, when we keep checking on friends’ updates and reading articles at late night hours. And this online-dependent style of life is not likely to change anytime soon. But what does using a VPN has to do with it? First of all, let’s clear out what a VPN actually is. A VPN extends a private network over a public connection. To understand this principle, you can think of using the Wi-Fi connection in public places like a café. Logging in to a VPN looks similar to, for example, logging in an email account, – users need to open a browser window. Next, a series of back and forth pings between the discrete networks make the connection secure. Using the Internet becomes totally encrypted and secure, free from hacking, spying or any other malicious or fraudulent activity. Look at it from the other perspective. The Internet is opened to the public at all times, even while you are using what is believed to be a secure network. Any data that you exchange becomes a part of the free market (sure, some markets may be more secure than the others). It doesn’t take much effort from hackers and spies to some or lots of your data, wherever it is being sent. Now, remember all those countless hours spent online and collate it with all the amount of data you send out, including your sensitive information such your credit cards numbers, the location of your home, personal details about your kids, important work information. You might be wrong if you consider self to be less vulnerable to cybercrime. Not only criminals target large corporations but also do they pursue the representatives of small and larger business, as well as individuals using particular software or devices. The level of ransomware rises each year rapidly. Ransomware is, in other words, a malware that breaks into your OS and makes it impossible for you to access any critical files stored on your device until you pay an amount of money the attackers demand as a ransom. Ransomware may be devastating and bring serious problems to huge corporations, just as it does to the individuals. The sum of the global damage caused by ransomware attacks in 2017 counts as much as over $5 billion, compared to $325 million in 2015. A relatively new threat of malvertising becomes more wide-spread nowadays, too. Cybercriminals rely on users’ trust in their favorite reliable websites, to spread malware through the legitimate advertising networks. This is how they target your sensitive information from a spot where you least expect it. If you think that you stay on the safe side just because you are using Mac, you might be wrong. 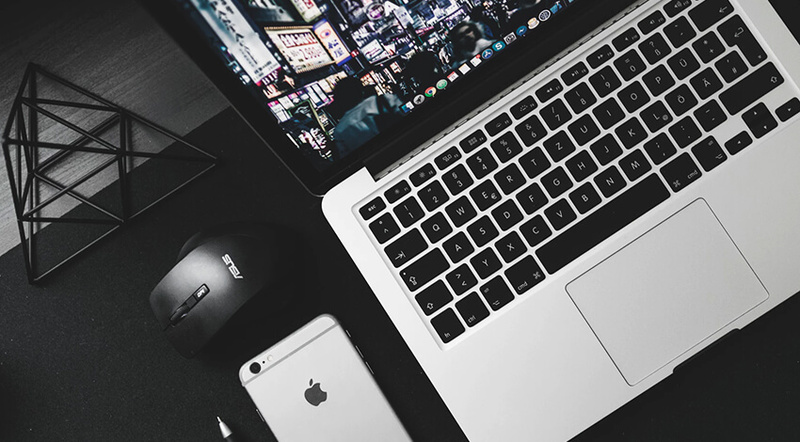 You may enjoy the benefits of extra security features built into Apple products, but this doesn’t mean that cybercriminals won’t try to hack on them; their profit will be worth the efforts taken. Using a VPN is safe, handy and provides a number of benefits to each user. Further, we describe three reasons that will convince you to stick to a VPN each time you go online. With a VPN at your service, you can use public Wi-Fi spots without the fear that your data will be accessed by the criminals. Now, you can safely use Wi-Fi anywhere you travel, be those cafes, hotels or even city-wide connection. While traveling, you may come across certain restrictions about the streaming content that work individually for each location. VPN lets you bypass any of such location-based restrictions, by choosing a location from which you are supposed to be streaming. VPN lets you keep your data encrypted at all times, keeping it safe from hackers, malware/ransomware or even the government. Why is it especially important to use a VPN now? This year Congress has passed legislation, which allows Internet service providers to sell all users’ browsing data and history of app usage to the third parties. This means that anyone’s most personal data can be sold in the form of a compiled dossier to adv makers. As a result, you may be targeted by extremely personalized and importunate advertising. Choose your VPN agent wisely and enjoy all of its numerous benefits.